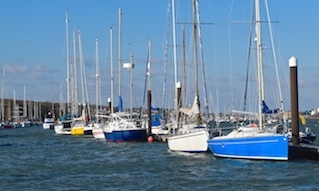 Cowes Harbour and the River Medina are home to four marinas: Cowes Yacht Haven, Shepards Marina, East Cowes Marina and Island Harbour marina. Please remember that when you cast off from your mooring, you are the give-way vessel; it is your job to keep clear of other boats. 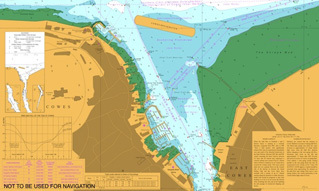 Navigate with special caution when leaving marinas and entering the main fairway in Cowes Harbour. The Yacht Haven has 260 fully serviced berths, 24/7 access, a 50 ton hoist, new boat mover and 15 ton mobile crane as well as a HIAB for keelboats and RIBs. Facilities include Wi-Fi, showers, toilets, launderette, on-site engineers, electricians and boat repairers. The Yacht Haven also has one of the largest major events and conference centres on the Island and gives direct access to Cowes High Street. Shepards Marina offers cruising and racing yachtsmen affordable marina berthing in a welcoming atmosphere. We have visitor and annual berths, all at very competitive rates which benefit from free WiFi, inclusive showers, and site-wide CCTV. 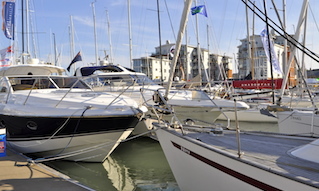 Shepards is also home to Cowes Harbour Commission’s moorings and berthing team. 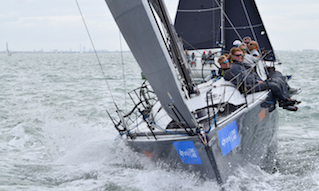 The Sugar Store Events Centre at Shepards Marina makes a perfect venue for rallies, clubs, prizegivings, receptions, or as a regatta media centre. The Events Centre enjoys a waterside position, stunning views and a convenient central location. East Cowes Marina is just 500m south of the Chain Ferry, accessible at all states of the tide and enjoys a sheltered, sunny location. The marina has 360 residents’ and visitors’ berths for boats up to 20m, all walk-ashore with electricity, water and Wi-Fi. Washrooms, laundry, picnic garden, free car park and the popular Lifeboat pub. 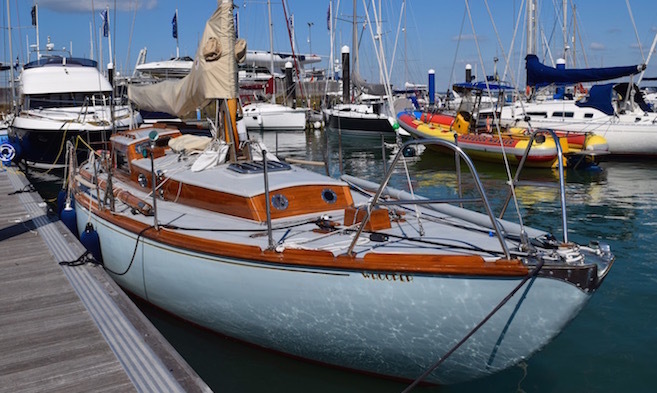 Also based at East Cowes Marina is the Medina Yacht Club, an RYA-affiliated social and boating club open to everyone. Island Harbour is just under half a mile upstream from the Folly Inn on the east bank. Access is via lock gates up to 4.5 hours either side of High Water. The maximum draft is 2.5 metres. Island Harbour is set in a beautiful and secluded valley, yet also offers easy access to Newport, Osborne House and (just once a year) the site of the Isle of Wight Festival. The peaceful marina offers over 200 berths for annual moorings and visiting yachts, the updated and enlarged Breeze restaurant and bar, a children’s play area, launderette, and free Wi-Fi. 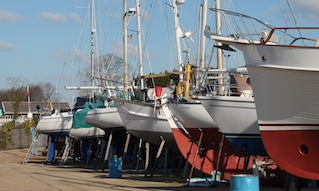 Full marine services include a well-stocked chandlery and 50 ton travel hoist, free car parking for yachting visitors along with extensive hard standing. The marina is exceptionally well-sheltered and dredged up to 2.3m. With a new riverside cycle-track into Newport and surrounding fields the marina is also an ideal place to bring children and dogs.